Road rules and regulations are something that should be followed religiously by everyone. Not abiding by them can result in trouble from traffic police, as was recently experienced by young Bollywood actor Ishaan Khatter. 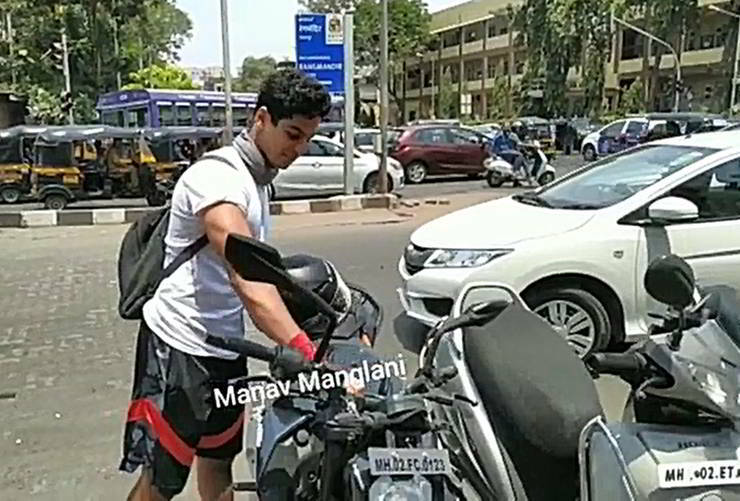 The Dhadak star on Sunday came under the scrutiny of law when he parked his motorcycle in a no parking zone. The motorcycle in question here is a KTM 250 Duke, which is among the best single cylinder quarter litre bikes in India. Ishan’s bike was impounded by the Mumbai traffic police in his absence and was loaded on the crane. However, Ishan came out in time to see his bike being carried away by the police and went forward to get it released. Take a look at the Instagram post below that shows the whole incident. Ishan reportedly was heading for a restaurant when he parked his bike in the no parking zone. 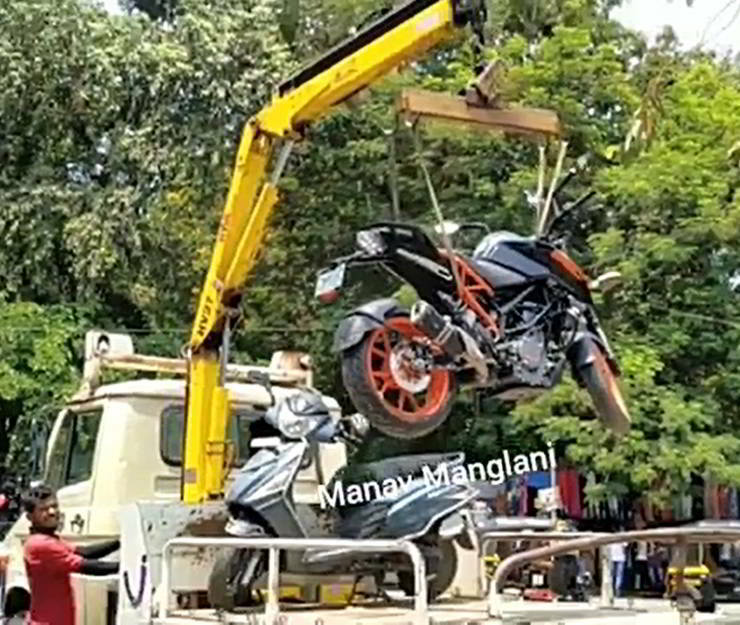 Just as he was coming out of the place, he saw his black and orange KTM 250 Duke missing from the parking spot and instead on a police tow truck. Seeing this the actor immediately went towards the police guys and asked them to release the bike. The cops gave back the bike to him but only after a proper parking violation fine of Rs. 500 was paid by Ishan. While it could be that Ishan parked his bike in a no parking spot unintentionally, it is nonetheless an offence and the traffic police did what they are meant to do. Ishan has been spotted on his KTM 250 Duke regularly and it is his choice of wheels when zipping around Mumbai. The actor has always been seen in a helmet while riding and sometimes with basic riding kits also, which shows that he follows traffic and safety rules. Sometime back, Ishan was called on Instagram after a picture with him riding a bicycle with headphones on went viral. The actor later clarified that he wasn’t listening to music but rather was on a call. Talking about Ishan’s motorcycle, the KTM 250 Duke is powered by a 248.8cc, single-cylinder, liquid-cooled engine that produces a maximum power of 30 Bhp at 9,000 rpm and a peak torque of 24 Nm at 7,500 rpm. It also gets a six-gear set-up. The KTM 250 Duke also gets upside down front forks with a monoshock in the rear. KTM also launched the dual channel ABS equipped version of the 250 Duke sometime back in lieu with the BNSVAP safety norms. Ishan Khatter brother, Shahid Kapoor is also an avid biker and has quite a good collection of cars and bikes. This includes a Mercedes-Benz GL Class. S-Class, Porsche Cayenne, Jaguar XKR-S, and a Range Rover Vogue. He also owns quite a few bikes like the Harley Davidson Fatboy, Ducati Scrambler, BMW G310 R and his latest acquisition, a BMW R1250 GS adventure tourer. It is quite likely then that Ishan would follow his brother’s steps in this direction and soon be seen riding a superbike. Nonetheless, the practicality of the Duke 250 in Mumbai traffic can’t be matched by any superbike, which could probably be the reason why he has already not got himself a superbike yet.